120 Days Same as Cash $292.50- No Credit No Problem. 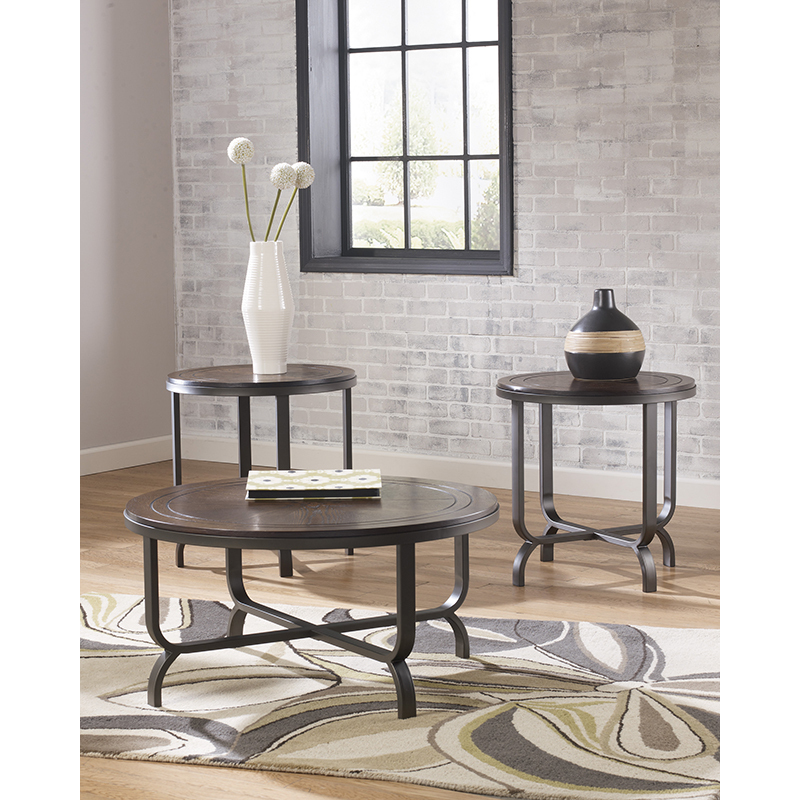 The ''Ferlin'' accent table collection perfectly captures sleek contemporary style with the unique curve and crossbar design of the tubular steel base bathed in a bronze color powder coat finish beautifully supporting a dark brown finished table top with inlay veneers and stylish groove accents. 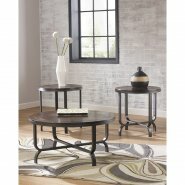 FSD-TS3-65DB-GG Coffee Table 35.75" 35.75" 18.25"
FSD-TS3-65DB-GG 2 End Table 24.00" 24.00" 24.35"